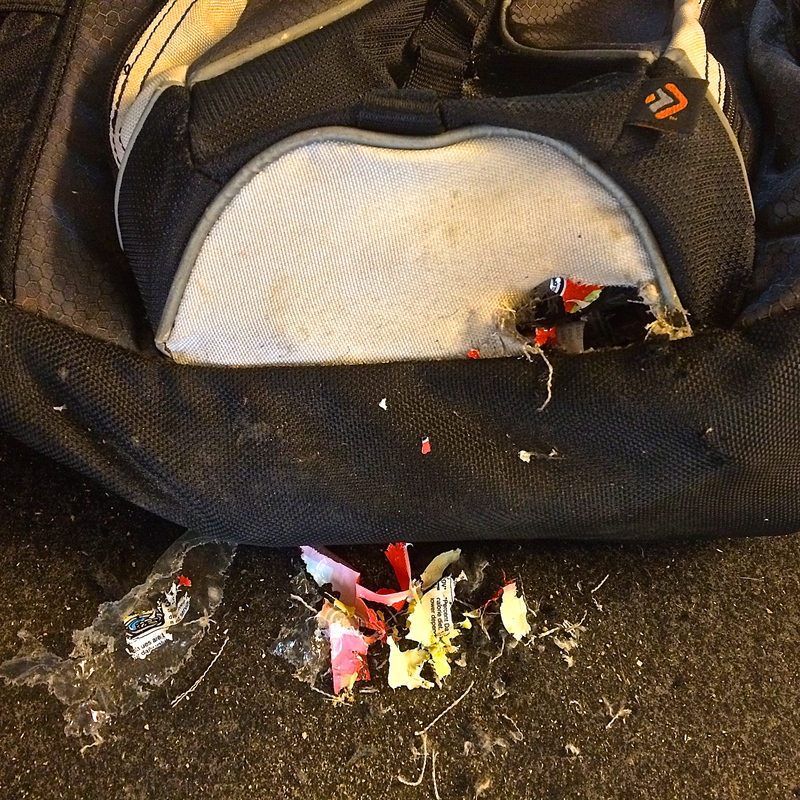 In our excitement over his latest bushcraft lesson, we forgot to remove his food items from his pack. 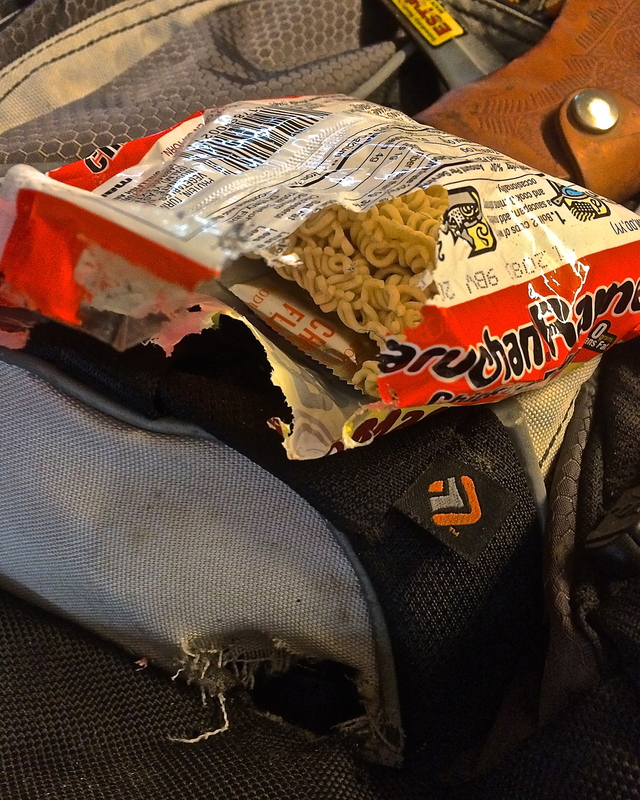 Apparently, rats love Raman noodles. I’m always trying to build a better mouse trap. I saw a couple of bucket rat traps on YouTube that seemed clever. This would be the perfect time to test the theory. 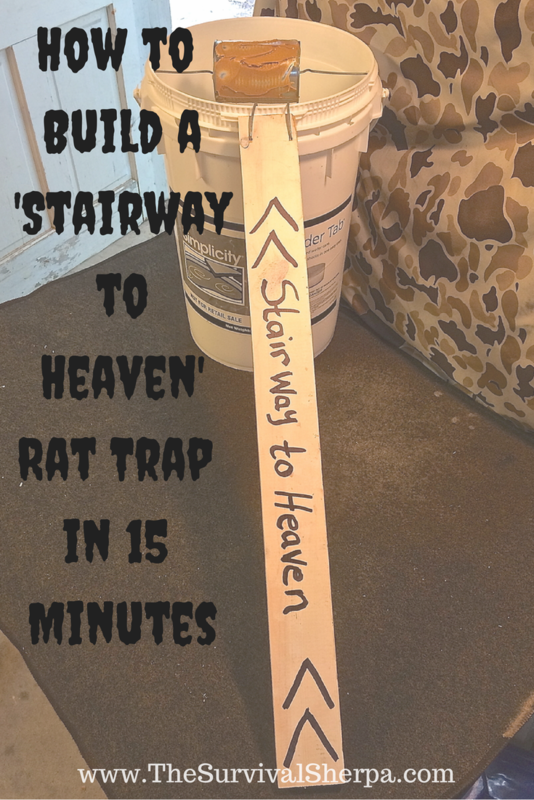 Here’s how to make a bucket rat trap in 15 minutes from everyday stuff. Drill two holes on opposite sides of the bucket about a half-inch below the rim. The hole diameter should be a little larger than the wire you’ve chosen to use. 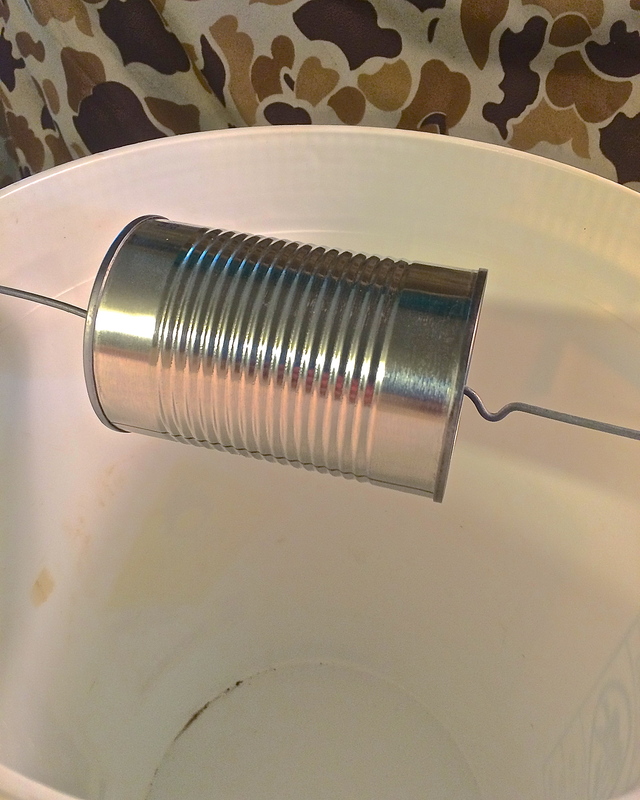 Skewer the can with the wire. This took time and patience trying to thread the wire through the second hole blindly. You could use a clear water bottle with the cap on to make this easier. Warning: You’re about to see dead stuff! If easily offended by the sight of dead rats, turn back now! Just walked out to my shop to check the bait and Ratzilla just ran up the wall onto some storage shelves. This sucker stands on the edge of the bucket eating my peanut butter! I pulled a rat trap from my bushcraft kit. Large rat traps are part of my survival trapping kit. They’re useful for trapping tree rats (squirrels) and other small game in a survival scenario. 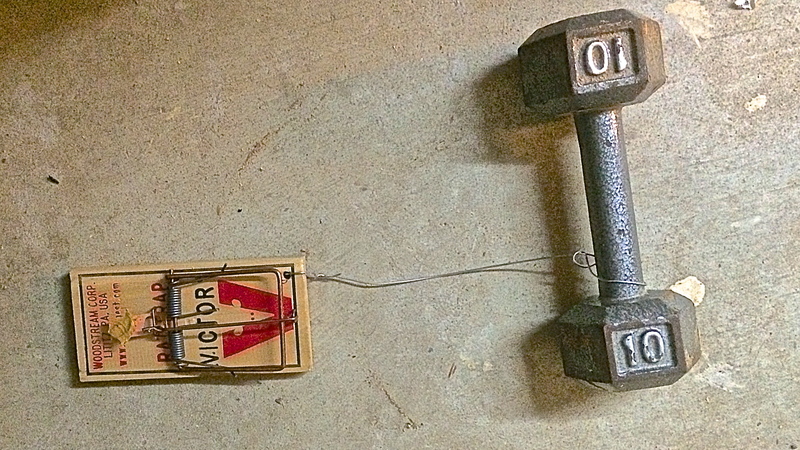 I ditched the bucket and used the Victor rat trap alone. Think he’ll drag 10 pounds? Update: He didn’t have to. He cleaned the peanut butter off the trigger… AGAIN!! I’m ready to load the .38 with snake shot! On second thought, he may take a hollow point. This is war! 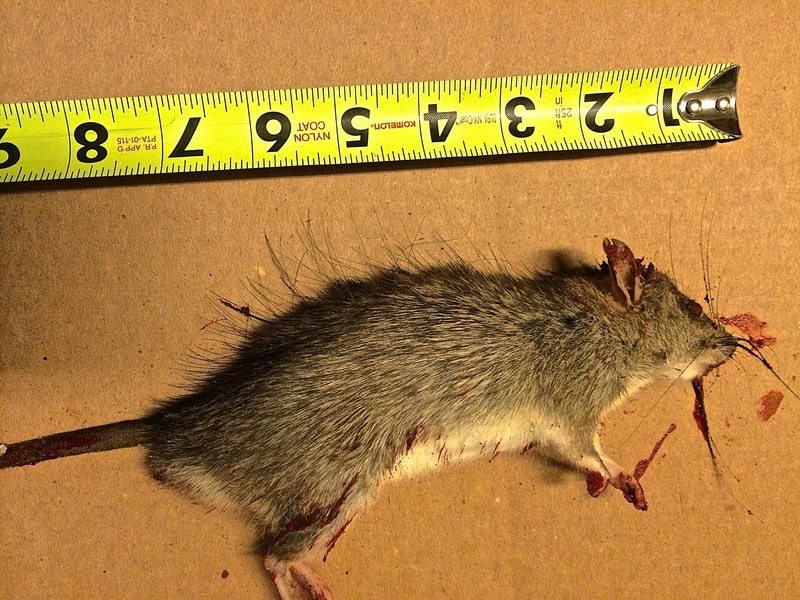 Note about sanitation: Avoid handling dead rats and mice with your bare hands. Wash your hands throughly after handling rat traps. 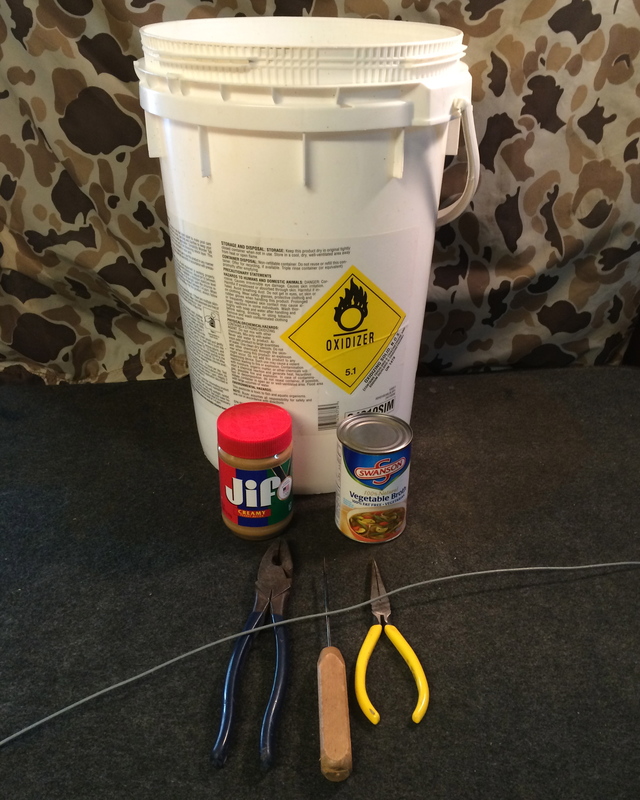 Here’s how to finish the bucket mouse trap. What I discovered is that my bucket trap was nothing more than a rolling rotisserie for large rats. 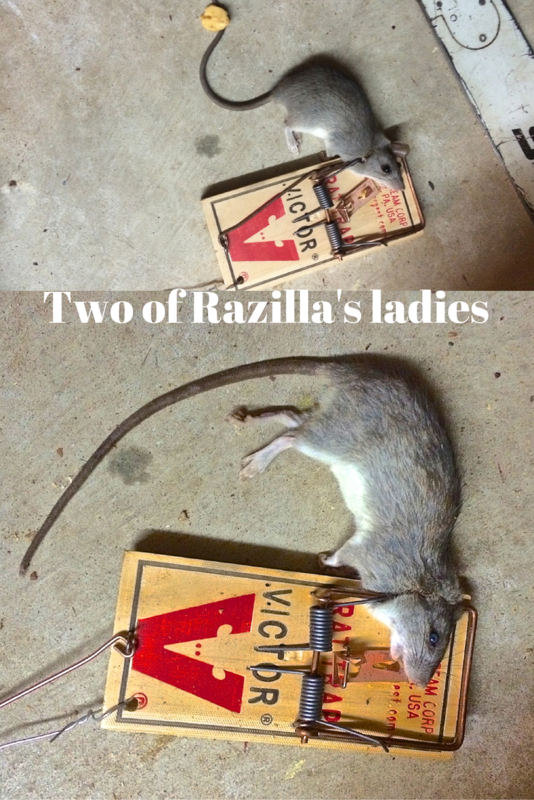 Stick with proven traps for Ratzilla and company or build a better mouse trap. Gotta watch for squirrels as those guys would hang upside-down on their back claws and munch away at the seeds on top of the water. But that’s what a pellet gun is good for, right?!! 15″?! That rat really deserves to be called Ratzilla. We had issues with mice a few months ago and used the same Victor Traps with cheese, worked out well for us, not so much for them! BTW, I own an older Buck 110 folder you reviewed and have dressed several deer with this knife over the years. Love it! Nice set up, Carole! Bet those boys are big on the river. I did not read all the comments but if someone has already said this then excuse me, if not I recommend using anti-freeze in the bucket to help prevent odors.. Please be careful with antifreeze as it is deadly to most other animals. Worked every single time. Sometimes the smell of cooked bacon was so irresistible I got them within 15 minutes of setting the trap. That is a genius idea to sew the bait on the trap! Thanks for the tip, Keri. 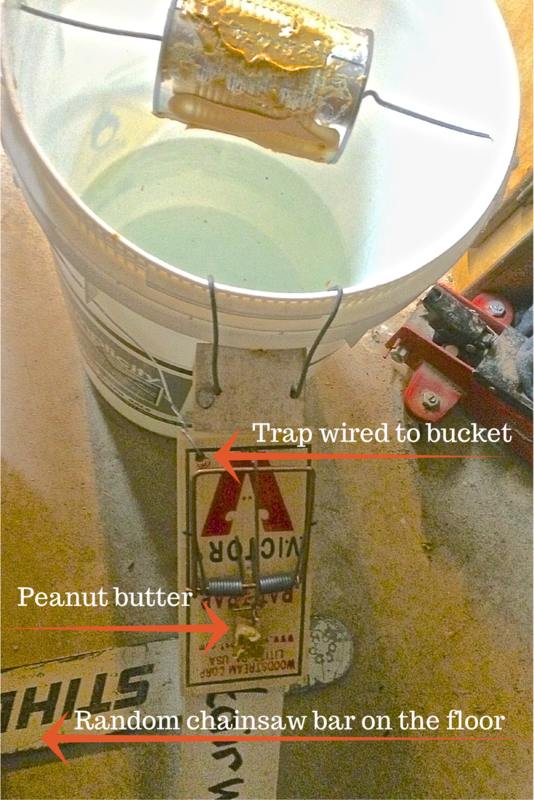 I’ve had great success with Tootsie Rolls as bait for my mouse traps. Chew the candy till soft and form it on the trigger. When it re-hardens, it sticks like Bondo and is reusable. Great tip, Frank! Thanks for sharing. Good idea, Joe! Thanks for sharing. Hope this comment is new as I did not read all the feedback. Good point, Graham. And no, haven’t had that suggested to my knowledge. Thanks! HAHAHAHA this cracked me up!! I had a rat that made me speak the same way!!! Awesome feeling catching that many quickly huh? !